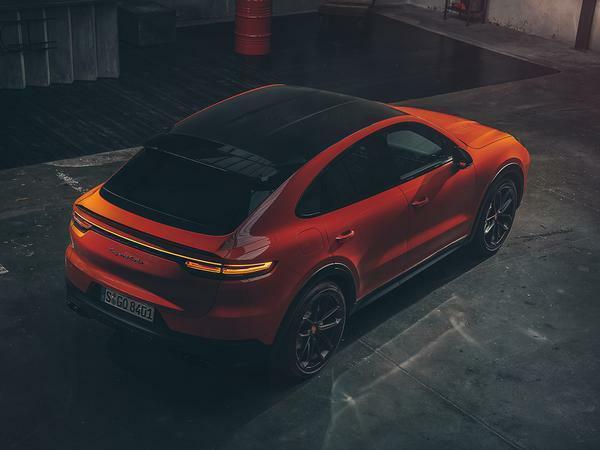 Porsche has pulled the covers off its new Cayenne Coupe, and confirmed that the shapelier model will be marginally quicker than the standard model. The firm's biggest-selling car has been given a substantial makeover to work its roofline and tailgate into the body of the new, sleeker SUV - and has received minor chassis alterations to give it a performance edge over the regular five-seater Cayenne, too. First things first, that back-end. 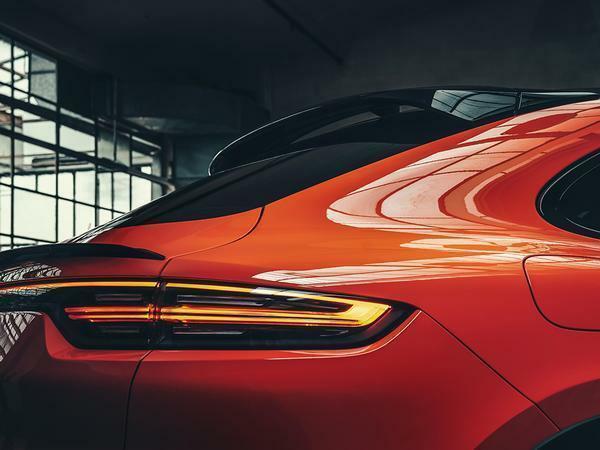 It’ll come as no surprise to see a light bar and Panamera-esque tail light arrangement integrated within the car’s pinched rear, where it also has a dual spoiler setup incorporating Porsche active aero tech. The firm says it produces even more downforce here thanks to its aerodynamic design. This isn’t simply a case of a new rear slapped onto the Cayenne, however. 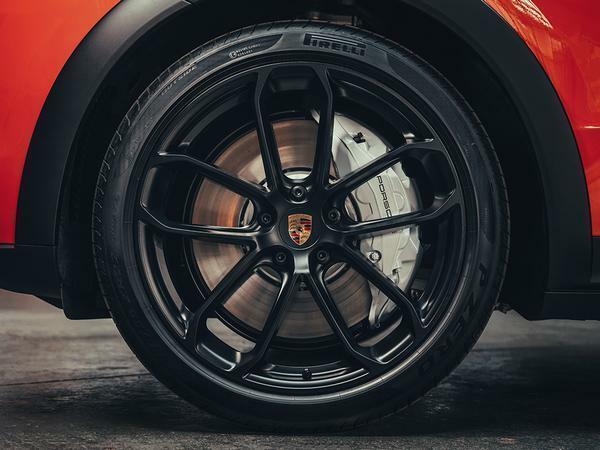 Porsche’s designers have also widened the rear arches by 18mm for a more muscular appearance and also trimmed the A-pillar to better blend with a roofline which is 20mm lower. Passengers in the front might not notice the latter, but those in the back sit 30mm closer to the ground in order to claw back some of the headroom lost by that new lid. 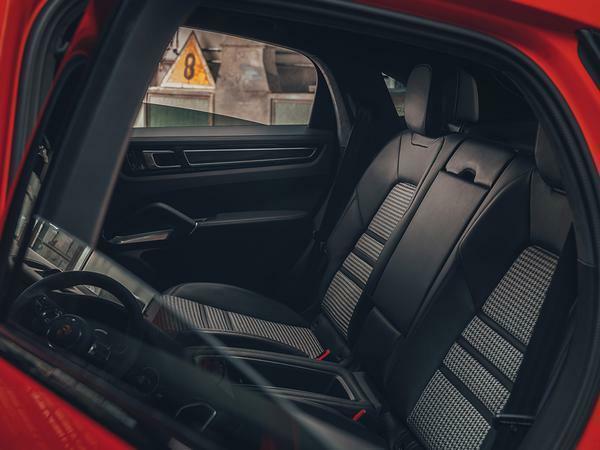 There are just two seats in the back, by the way, helping the Cayenne Coupe to save weight (although it's possible to have the standard bench as a no-cost option). 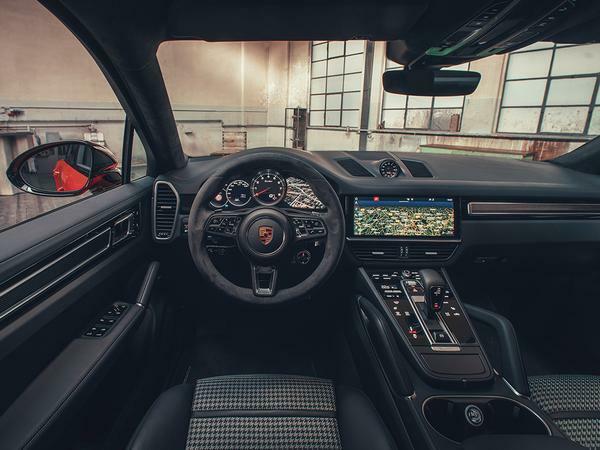 The Coupe comes as standard with the Sport Chrono package, meaning the range-topping Turbo makes use of the same 550hp twin-turbo 4.0-litre V8 to sprint 0-62mph in 3.9 seconds, two tenths quicker than the regular SUV, while top speed is unchanged at 177mph. The other variant revealed at launch, a turbocharged 3.0 V6, also has the same 340hp as its standard counterpart and can hit 62mph in 5.9 seconds (also with the Sport Chrono package), saving it a couple of tenths as well, before reaching 150mph. Both variants run with a slightly wider rear track (hence the wider arches), providing the Coupe with more stability and, ultimately, more overall grip. Or so the engineers told PH. 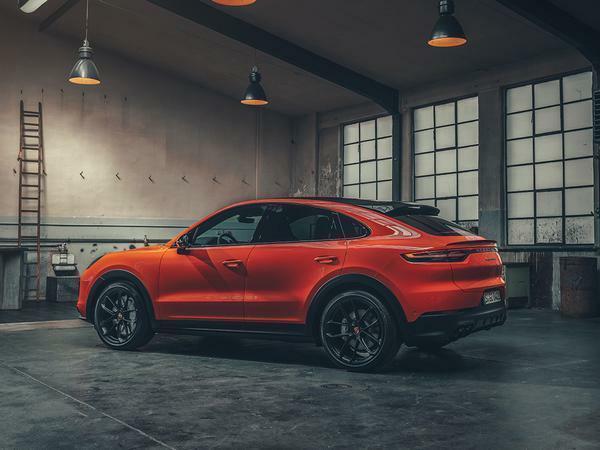 Most importantly, the performance stats place the new Porsche ahead of the Mercedes-AMG GLE Coupe, despite that car’s V8 enjoying a power advantage. 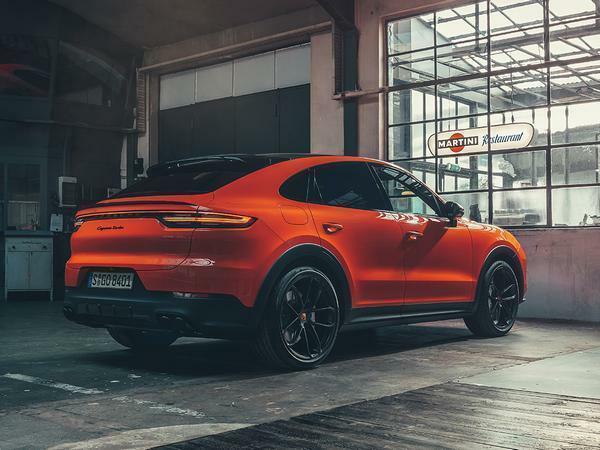 Porsche’s hybrid powertrain is going to be added to the Cayenne Coupe at a later date, creating a rival for AMG’s forthcoming electrified 53-badged alternative. 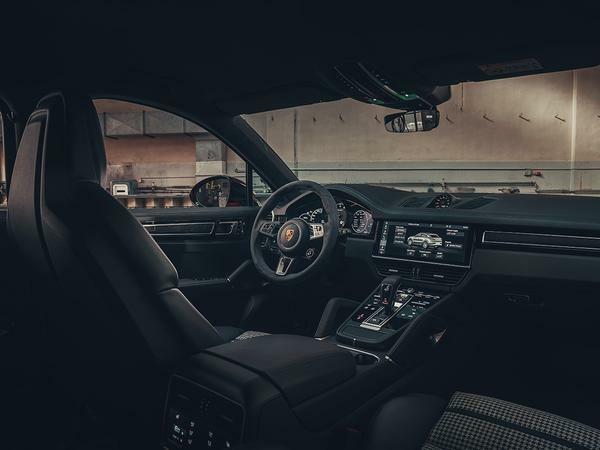 Executives also hinted to PH that a more extreme S E-Hybrid that pinches the electrified V6 system from the Panamera will follow, while a Turbo S model will complete the line-up. 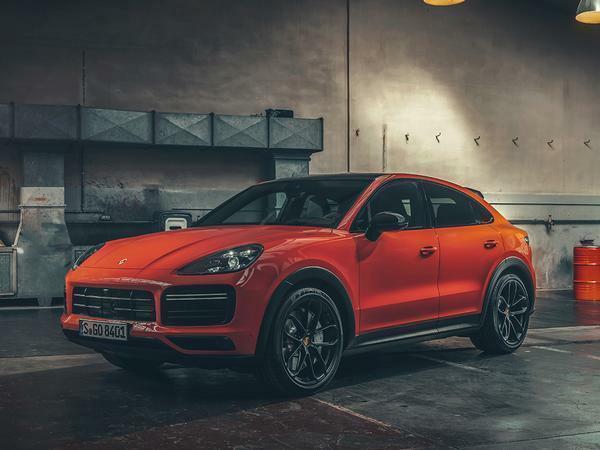 Porsche is taking orders for its new Cayenne Coupe now, with prices starting at £62,129 for the V6 and £104,729 for the Turbo, making the models pricier than their five-seat siblings by £6,164 and £5,438 respectively. 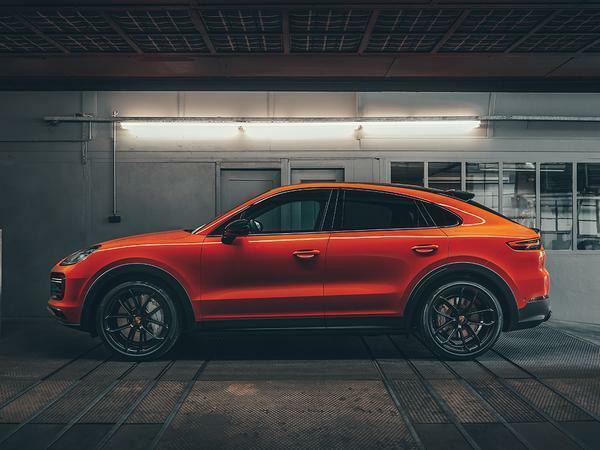 The first cars are due in Britain this May, meaning we’ve not long to wait to see how a haircut has affected Porsche’s broadly talented Cayenne. More to come on that soon. I thought the same, well at least better than the X6 & GLE - plus I do like the orange paint & hounds-tooth seats. I thought coupes had 2 doors? Clearly I’m wrong as there are BMW, VW 4 door coupes etc. What’s the definition? 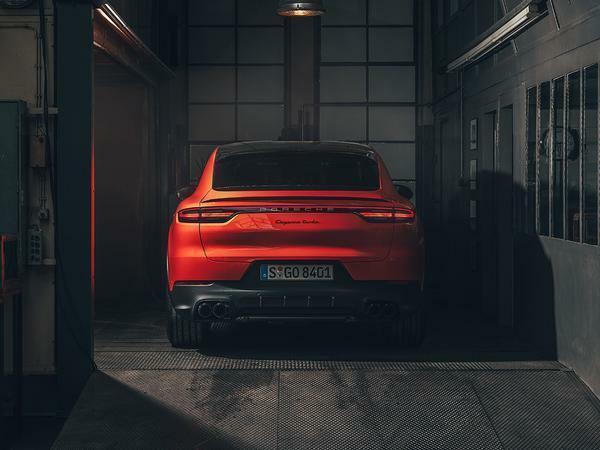 The rear looks exactly how I thought it would, like an X6 and GLE Coupe, you literally cannot make a ‘coupe’ SUV look good, I’d rather just have a Cayenne, looks much better. Porsche 917-001 meets Concorde: Time For Tea? 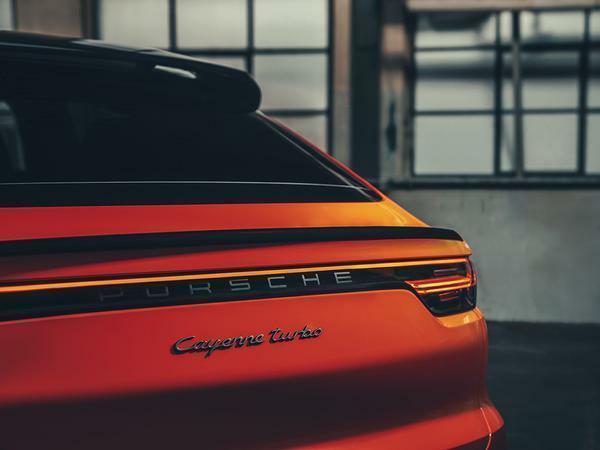 Porsche Taycan to spawn Sport Turismo: Update!